Well, apart from giving the F-Pace a huge free plug in my previous post, I completely omitted any mention of the driving experience. 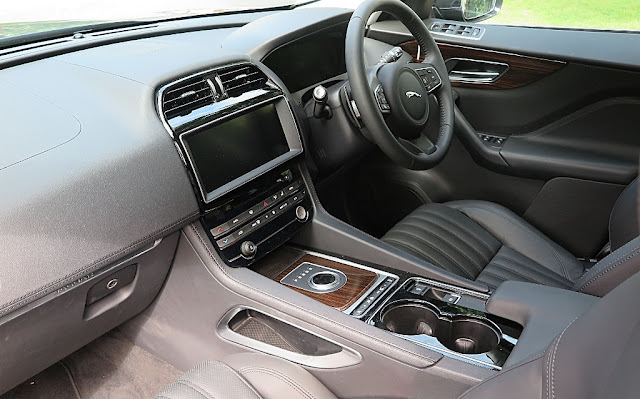 My test car was an F-Pace 'First Edition' with the 3.0L turbocharged diesel, ZF 8-speed automatic, and the optional 22 inch wheels with 265x40x22 Pirelli P-Zero tyres. 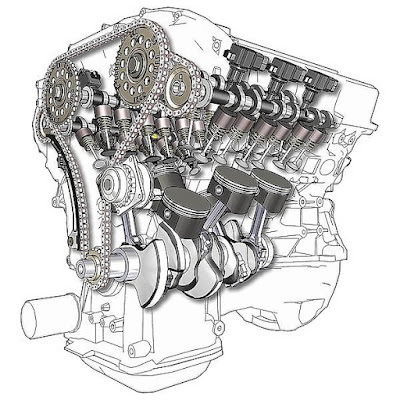 The engine is an interesting unit. Originally designed by Ford and called the PROJECT LION, because as part of a 1999 joint venture with PSA, the engine was designed for use in a range of Citroens and Peugeots (C5, C6, Peugeot 407 & 607), codenamed the DT17. 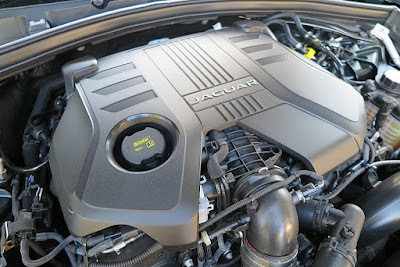 During Ford's ownership of Jaguar and Land Rover the TDV6 engine was deployed in the Land Rover Discovery and the Range Rover Sport. Jaguar Land Rover (under Tata ownership) utilised the Lion (codenamed AJDV6) in the XF and XJ. It began life as a 2.7L, but is now 3.0L in today's Jaguars and Land Rovers. Lion is based on Ford's Durateq 60 degree V6 petrol engine, and the current diesel version uses twin sequential turbochargers. It provides suitable heft (221kW) in the Jaguar F-Pace and all indications are that it will be with us for a while - and why not? It's an excellent engine. Sounds funny doesn't it - a Jaguar, with the heart of a Lion? 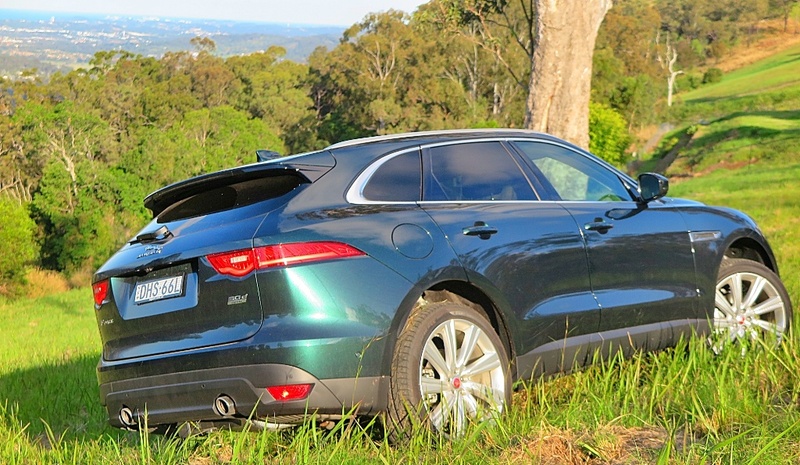 On the road the 3.0L V6 diesel F-Pace never disappoints. Plenty of grunt around town, on the highway, and off-road. It melds really well with the ZF 8-speed automatic, and is a great overall powertrain package. In some tight, and hilly terrain near my home in Queensland, I was amazed not only at the F-Pace's agility, but also the adhesion. The electric power steering is precise, feels good on TDC, and the assistance is progressive. 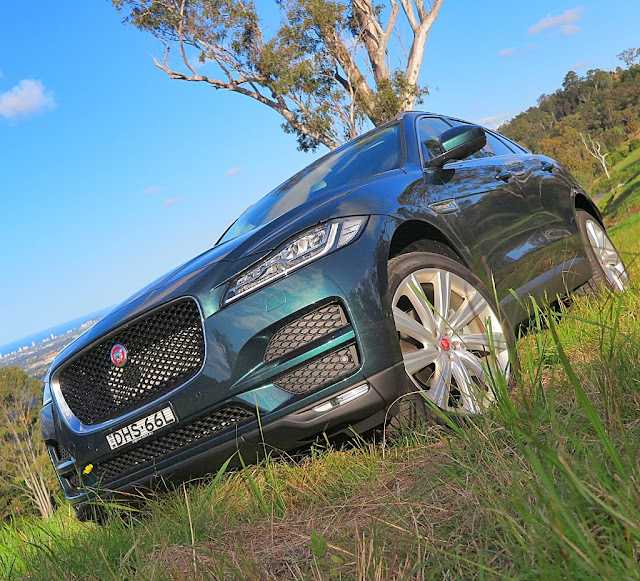 Of course it can't drive like a low profile sports car, but if you're expecting Jaguar-style responses, then the F-Pace delivers. 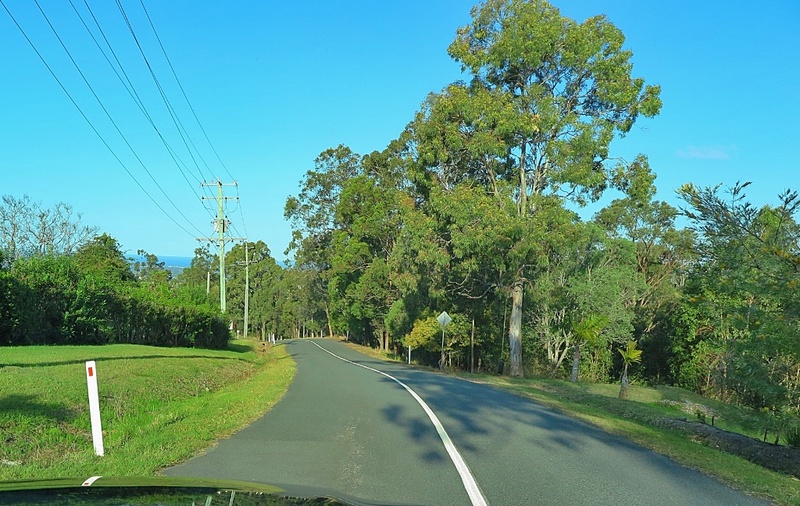 Despite its size, it is never intimidating, which will appeal to all drivers, especially women. 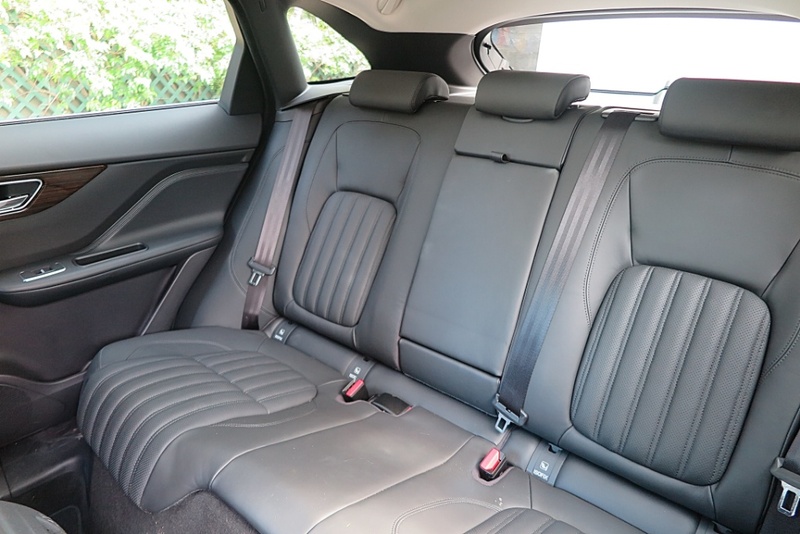 Front seats are super comfy; and there's plenty of space in the rear , plus the seats fold in a 40:20:40 pattern. Rear luggage space is 650L (seats up), and 1740L (seats folded). 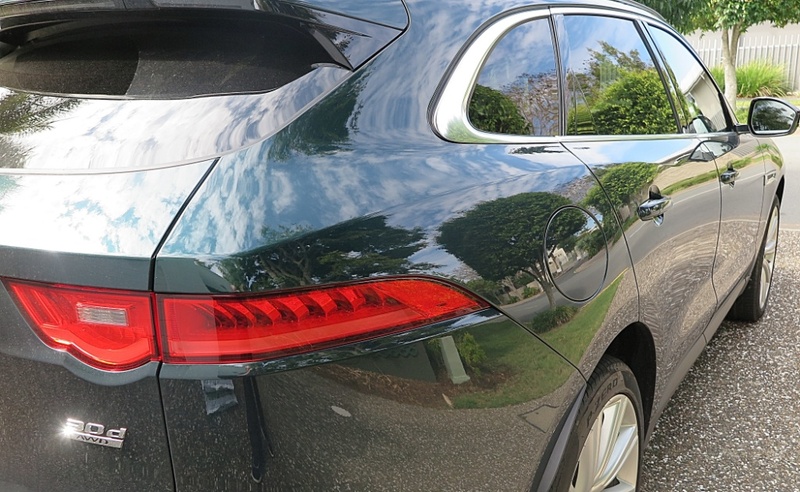 However, in my opinion the major appeal of the F-Pace is its design and styling. Ian Callum and his team have produced an oustanding Jaguar. On the 2874mm wheelbase, Callum dictated short front and rear overhangs, and the lowest possible profile for the roofline. 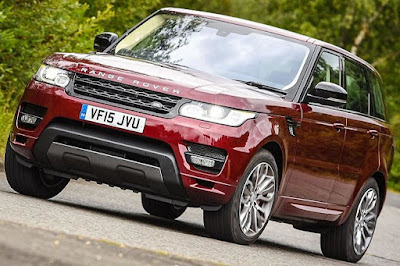 The style line running from front to rear, and around the tailgate is aesthetically pleasing as it cleverly incorporates the 'haunches' over the rear wheels. I guess the major competitor is the Porsche Macan, which is also a handsome vehicle, but the F-Pace is much shorter than the market leader, the BMW X5, and with an overall length of 4731mm, the Jaguar designers have packaged the F-Pace SUV concept very artfully.